When was the last time you used the word 'love' to describe how you feel about your car? At Dutch Miller Subaru, we hear our customers say it all the time, and for good reason. Serving drivers from the Charleston, South Charleston, Teays Valley, Hurricane, WV and Saint Albans, WV, we offer a wide range of new and used offerings from Subaru. A big bonus to the new 2019 Subaru lineup is options. Models like the Subaru Outback, Forester, Crosstrek, Impreza and Ascent each feature unique features that truly set them apart from the bunch. Yet they all find common ground with their well-crafted and high-quality design. Satisfy it with a test drive of a new Subaru model that piques your interest, here at Dutch Miller Subaru in Charleston, WV. Found Your Next Subaru Model and Are Ready to Drive Home with it? You have your new Subaru Outback, Forester, Crosstrek, Impreza or Ascent all picked out, and can envision yourself driving it full time, but the next step happens here at our dealership, too. With our financing team, you are going to receive and learn about all our car loan and lease options in detail. We provide you with the current offers and incentives, and discuss all the ways we can help you find a plan to that works within your finances. We keep the process clear, and stress-free so you can look forward to driving through the streets of South Charleston, Teays Valley, Hurricane, WV and Saint Albans, WV, in your new ride soon. Fantastic customer service from Dutch Miller Subaru doesn't end when the sale does; our dealership also staffs a fantastic, onsite auto service and repair center. Their goal: make sure every mile you spend behind the wheel is one that's free of worry. 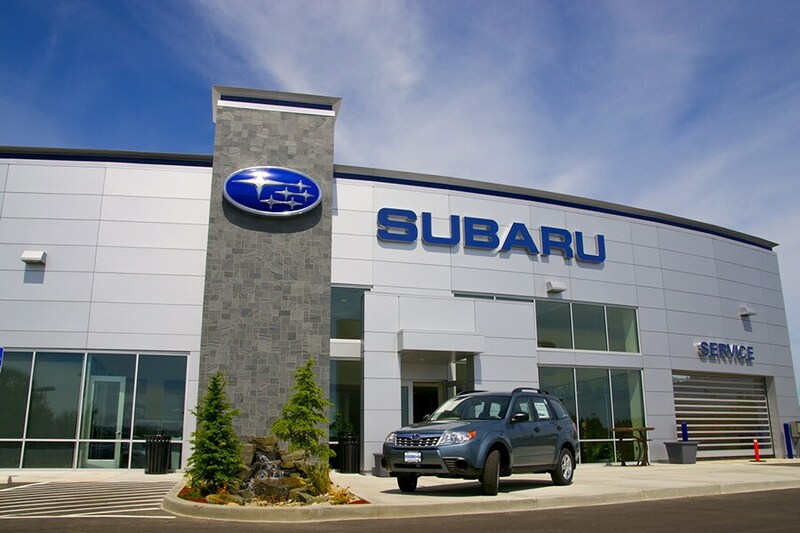 They do so by firmly knowing your specific Subaru Outback, Forester, Crosstrek, Impreza or Ascent inside and out, only using high-quality Subaru parts and by making sure you're aware of every service being performed on your car as well as why it's being done. At Dutch Miller Subaru, we're dedicated to providing you with the best customer service and car-buying experience imaginable. If it's not our new model lineup, then it's our commitment to quality and service that's made us the chosen dealership of Subaru drivers hailing from Charleston, South Charleston, Teays Valley, Hurricane, WV and Saint Albans, WV. We hope you'll take the time to visit our showroom in Charleston where we look forward to serving you soon!